Some actors aren’t just artists we admire, or chessmen in a strange game. They are us, expressing our brightest and darkest thoughts, enacting a gamut of roles ranging from the psychologically complicated to the absolutely simple. They are a bigger us. Pran means life. And he has given cinema just that with his seamless artistry. He struck terror in the heart of the audience, assuaging them finally with the moral – ladies and gentlemen, evil does not win. Some years later when I came to Mumbai to seek a film career, I often met Pran saab’s son Sunil ‘Tunni’ Sikand, a close friend of my brother Ajitabh. As an actor trying to find a foothold, my first interface with Pran saab was on the sets of Zanjeer. By that time, he had made an effortless transition from villainy to character roles following his superb performance in Upkar. He had asserted, as it were, that a villain does not have to remain a villain. He had set a significant precedent: Shatrughan Sinha and Vinod Khanna, who began with negative roles, went on to become super heroes. On the very first day of the Zanjeer schedule, we shot the police station sequence in which I am rude to Sher Khan. I lose my cool and hurl terrible invectives at him. I did feel a bit hesitant to break into a tirade but when I saw him I felt reassured. After alt, it was largely because of Pran saab that I had been cast in Zanjeer. Om Prakashji who had good words for my performance in Parwana had generously recommended me to producers in Chennai and also to Pran saab. In turn, Pran saab backed me to the hilt when the cast of Zanjeer was being finalised. All my scenes in Zanjeer with him were tough. Often during the action sequences, I kept hoping I wouldn’t miss my punch cue and end up hurting him. For one of the sequences, we had to climb up a wall with a rope. He was the first man up. Irrespective of the long and arduous process of getting into his make-up and costumes, he was also the first one on the set. Infallibly. Pran saab never interfered with anyone’s work. he never argued “with anyone, he never asked for alterations in the dialogue or a situation in the script and he never once lost his temper. He would complete a day’s work diligently and leave. Whether he was playing a Christian like the endearing Michael in Majboor, the Pathan Sher Khan flicking his hair back in Zanjeer” the street-smart fun person displaying 0 amazing comic synergy with Dadamoni Ashok Kumar in Victoria No.203, the volatile convict in the black-and-white Shaheed or the upper crust father in Bobby, it was evident that he took great pains to differentiate every one of his characters, thus giving them a new and always credible edge. Even if he was saddled with a stereotyped role, like all actors are on occasion, the part received a fresh interpretation and impetus. Through all the films we worked on, it was clear that he is a man of principles. If there was a particular line of dialogue or a situation in any script, bordering on the crude or which was socially and morally objectionable, he would comment on that immediately. He wouldn’t get into an unresolvable conflict with the writer or the director but use fair reason and logic to stress his point of view. That is why every film-maker knew that Pran saab would go this far and no further, he had demarcated a boundary for himself, whereby he would not do anything that was vulgar or unaesthetic. .
Pran saab is extremely shy, opening up essentially when he knows he is among friends and like-minded colleagues. He has been one of my kindest guides and masters. On the films we did together, if he ever felt that I could improve upon a take, very apologetically he would murmur, “Don’t misunderstand me… but why don’t you try it that way?” If he was pleased with my take, he would never fail to compliment me. Curiously, Pran saab would never see his own films. It was nearly 20 years after the release of Zanjeer that he saw the film accidentally. He called me to say, “I liked your performance.” It felt wonderful even if his compliment came two decades later. From him, I have learnt that professionalism is an actor’s main qualification and strength. There was never a day when he reported late, never a day he cancelled a shoot because he was feeling under the weather. One day, he was on the sets, exceptionally reserved and uncommunicative. After hours when he continued to be in a shell, the director asked him if something was wrong. Pran saab very quietly said that he had just lost his brother but he didn’t want to cancel the shoot because life must go on. Needless to emphasise, the longevity of his tenure and his abiding dedication merit official honours and awards which have largely been denied to him. As they have said of so many grand character actors in the west, they don’t make them like him anymore. An artist of his stature would have been lionised in the U.S., Europe, wherever. Alas, here acknowledgement has been grudged to him. Inexplicably. Cinema may change both in content and technique. 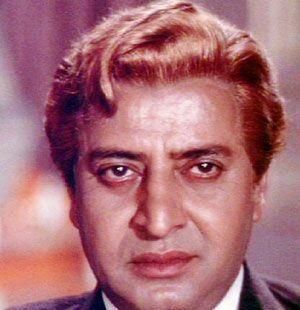 But nothing can take away from Pran saab’s boundless contribution to Indian cinema. Whenever he had to climb up a wall, he left us, another generation, behind. He was always up first.